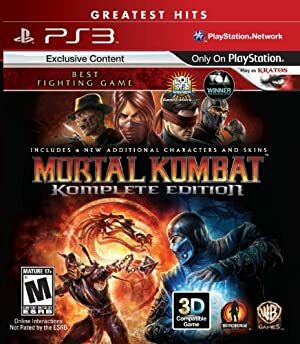 Mortal Kombat is a series of graphic brawling video games that started in 1992. It is not as big as it used to be, but new games are still released as of the 2010s. The original Sub-Zero was part of the earliest, 1992 characters roster. 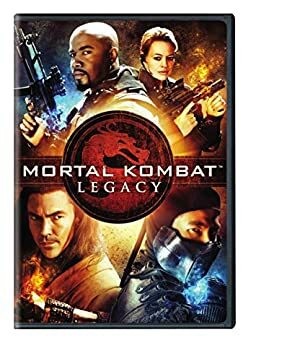 His brother and successor appeared in Mortal Kombat II, in 1993. Known Relatives: Sub-Zero I (elder brother). Base Of Operations: The Earth. Sub-Zero himself is a master of many arts of the ninja including stealth, acrobatics and hand-to-hand combat. He presumably is also able to make drugs and poisons. Having had much combat training in the past he’s also very proficient with any and all weaponry. An ability that comes in very handy these days (being hunted by the clan) is the ability not to be detected in a crowd or in city life. Sub-Zero also mysteriously has superpowers enabling him to create constructs of hard ice as well as freeze opponents where they stand (or fly). He may also imbue ice objects (ice clones of himself) with such coldness that anyone touching it will be frozen still. Extensive training has made this superninja mix his powers in combination with the martial arts of Ninjutsu into an extremely lethal fighting style. Handle him like a superninja and you should do just fine. Sub-Zero used to be a member of a ninja clan, but upon detecting that it had a different agenda than himself he left the clan. He was thus marked as a renegade ninja to be hunted down for the rest of his life until killed. He participated in the Mortal Kombat Tournament to fight evil. Sub-zero was opposed by two cyborg ninjas and former friends from his own clan named Cyrax and Sector. Together with a third cyborg ninja, Smoke, who had overridden his programming, Sub-Zero managed to defeat the deadly opponents after which Smoke was supposedly terminated. New opponents from the clan continue to hunt Sub-Zero but so far with little success. Sub-Zero has proven time and again to be a superior fighter and continues to live to fight in the Mortal Kombat Tournament on the side of the good. Red tattoo over right eye, blue mask and blue mouthpiece looking like a rebreathing apparatus and a ninja suit in blue and gray covering entire body as well as ninja boots. In contrast to a standard ninja he doesn’t appear to wear any weapons (which is unnecessary since he can create this himself in combat situations). Sub-Zero doesn’t say much. He’s effective instead. Sub-Zero is, to say the least, a cool person. He is extraordinarily resistant to fear which together with his ice powers have given him the artist name Sub-Zero. He had the guts to quit his ninja clan, which marked him for death, and has even gone public about his criminal past (no Dark Secret). Apparently he is driven only by his own motivations with no fear of any outside interference. Being a ninja he is cautious, quiet and sure not to draw too much attention on himself. While showing the world that he’s one of the good guys he, at the same time, takes care not to make himself an easy target for his clan enemies. For other individuals he appears to be a person of great bravery and self-knowledge. Being a former ninja he still does what he then did best ; he kills his opponents having no qualms about it. Also being hunted constantly has put his senses into a state of constant alertness but being cool about it he wouldn’t appear paranoid about it. One more ninja in the DC Universe shouldn’t make too large a difference. 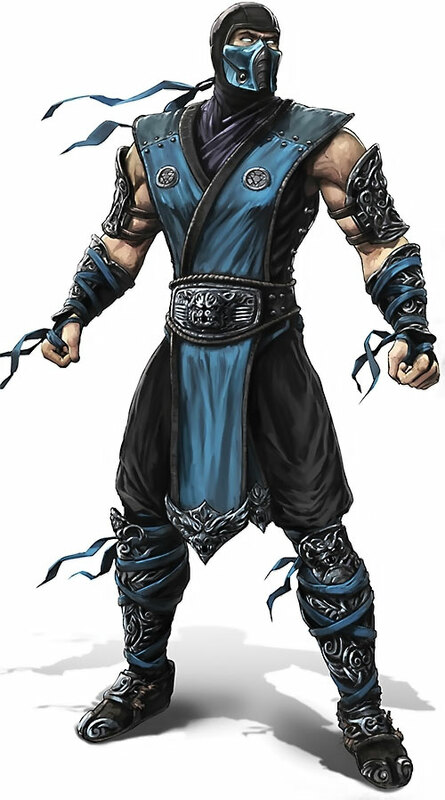 Sub-Zero is however powered (metahuman) and extremely dangerous and should only be used as a main character prefererably in a specific Mortal Kombat genre. Ice Production power is limited to entrapment, creating objects and slippery spots only – but may also be used to create a powered Club (see Equipment). Paralysis can be imbued into objects created via Ice Producing creating the effect that anyone touching that object is being paralyzed. When Ice Production is used as in Mortal Kombat Rules it may inflict physical killing combat damage. Power Reserve is only usable with Ice Production and is subject to standard Mortal Kombat Rules. Although it has no game effects Sub-Zero constantly absorbs huge amounts of heat from around himself which creates an effect of him fuming at all times. Iron Nerves, Intensive Training, Language (Japanese). Secret Identity (earlier only), Stalked (Ninja Clan, Med, Global). Club [/BODY/ 08, EV 04 (08 w/ Martial artist), Paralysis: 06 (Note: This Club is made via Ice Production)]. Some character powers are subject to Sorcery Power limitations. This is used for simulating Fatalities from the games. These powers are normally only used at the end of a combat finishing the opponent with it. Before the fatality takes effect the character has to stand around concentrating a whole round first, during which dodging is not possible at all (OV = 0) ; if any damage is sustained during this round, then concentration is broken and the fatality fails to occur. Success indicates the fatality is successful and the user takes the mystical bashing damage associated with the use of the Sorcery power. During all fights a lot of different combat maneuvers are used and HP expenditure is extremely common. In many of the Mortal Kombat games each character has the ability to finish opponents via Animalities or Babalities. Even Friendships exist. If clearly not present in the write-up these have been left out to the imagination of the GM. Helper(s): Dr.Sean MacDonald, Sébastien Andrivet, Ethan Roe. Source of Character: Mortal Kombat (all) Games.